We offer a variety of vacation home plans suitable for different environments and a variety of vacation needs. For instance, take a look at plan 052H-0088. 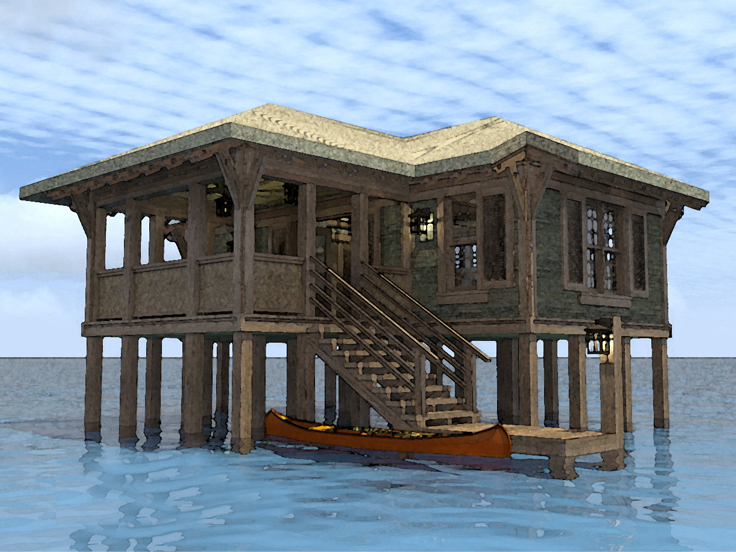 This plan is well suited for the beach or waterfront. Whether you are rolling out of bed, soaking in the tub, or washing the dinner dishes, this plan offers every room with a view, concluding with a nice porch on which to witness magnificent sunsets or sunrises. The simplicity of this plan meets creature comforts with an emphasis on location. It is the perfect getaway adventure for two, certainly meant for a romantic weekend every weekend. If your destination is the water, but your romance has blossomed into a family, check out plan 047H-0077. This beach bungalow offers some great views too, including a screen porch for spending time outside but with protection from the elements and crawly things. It offers a little more space to accommodate friends and family. The open floor plan includes a kitchen with a cooking island, a dining room, and living room with a fireplace opened on three sides. How cozy is that? There are two full baths, a laundry room, three bedrooms for family and guests and parking for two vehicles, plus storage space for all of your beach accessories like boogie boards, lawn chairs, and beach balls. But if your cup of tea tastes better in the wilderness, check out 012L-0020, a nifty log cabin with all the comforts of home plus a scenic deck. This open floor plan includes a kitchen with a snack bar, the dining area, and a great room with a corner fireplace. On the first floor there is a bedroom and upstairs are storage closets plus loft space to accommodate a multitude of kids in sleeping bags. Roughing it without it being too rough, wide open spaces for family togetherness, rustic and simple to reflect nature, but comfortable enough to provide home away from home. Vacations should always be so good. For more ideas, browse our vacation home plan collection. With warmer weather on the way, many of us will be spending more time in our yards, buts sometimes we get so busy that it is hard to keep up on everything around the house especially around the yard. Don’t let an unexpected danger ruin your backyard fun this spring or summer. Take just a moment to review these tips for keeping your yard safe for everyone. Keep the grill 10 feet away from the house and other objects. Never leave an unattended fire in the fire pit or grill. 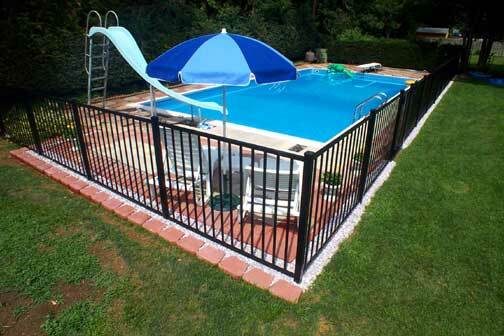 Install a fence around pools and hot tubs. Make sure no one swims alone in pool. Wear protective goggles and ear protection when using outdoor machinery. Let the mower engine cool before refueling. Keep children inside when grass is being mowed. Put ladders away after use. Keep chemicals and garden tools away from children’s reach. Tighten and cover bolts on play equipment. Anchor trampolines and play sets. Seal wooden decks and porches.